Ida Hustard, the daughter of John Arthur Husted and Cassandra Stoddard, was born in Franklin County on 18th February, 1851. Ida worked as a schoolteacher and was a principal of a high school in Peru, Indiana, when she married Thomas Winans Harper of Terre Haute on 28th December, 1871. He was a lawyer but the marriage was not happy and they eventually got divorced. She began writing poems and articles on politics and women's suffrage. Some of these were published in a trade union newspaper edited by Eugene Debs. In 1884 she published Poems on Miscellaneous Subjects. 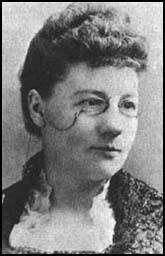 In 1887 Ida Harper helped organize a women's suffrage society in Indiana. The following year Harper found work as a journalist on the Terre Haute Evening Mail and later moved to The Indianapolis News (1891-92). 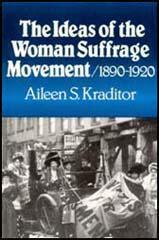 In 1896 she joined the National American Woman Suffrage Association where she worked closely with Susan B. Anthony. She also wrote a regular column, Votes for Women, in Harper's Magazine. Harper was also active in the International Council of Women. 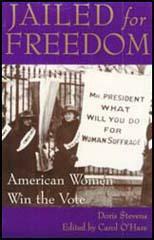 Harper also wrote the three volume, The Life and Work of Susan B. Anthony (1898-1908) and The History of Woman Suffrage (1902). Ida Harper died on 14th March, 1931. The moment we accept the theory that women must enter wage-earning occupations only when compelled to do so by poverty, the moment we degrade labour and lower the status of all women who are engaged in it. This theory prevailed throughout past ages, and it placed a stigma upon working women which is only beginning to be removed by the present generation. The fact that only a few insignificant employments with the most meager wages were permitted added still further to the disgrace of her position. The charge is continually made that the entrance of women into the industrial world has lowered men's wages to a ruinous degree. As a matter of fact, there are very few departments of work where men are not receiving higher wages now then ever before. If, however, these were placed at the same figure as before women entered into competition, and the 4 million women now engaged in breadwinning employments were withdrawn and set down in the home, the results would be disastrous. It would mean a life of idleness and privation for women, of added labour and sacrifice for men, a situation equally undesirable for both.